We’ve installed a new high speed dedicated internet tower. Most of our classes are LIVE and then recorded to Youtube after the live feed. You’ll be allowed to watch the recorded versions as many times as you like for a limited time after the original class airs. Please note the time frame for recorded viewing prior to enrolling. To enroll, please use the appropriate Paypal button (located above the class title) for the class you’re enrolling in. Note Colorways is the final class in the 3 series program for Master Dyer Certification (and with successful completion of the entrance exam, into Teacher training). 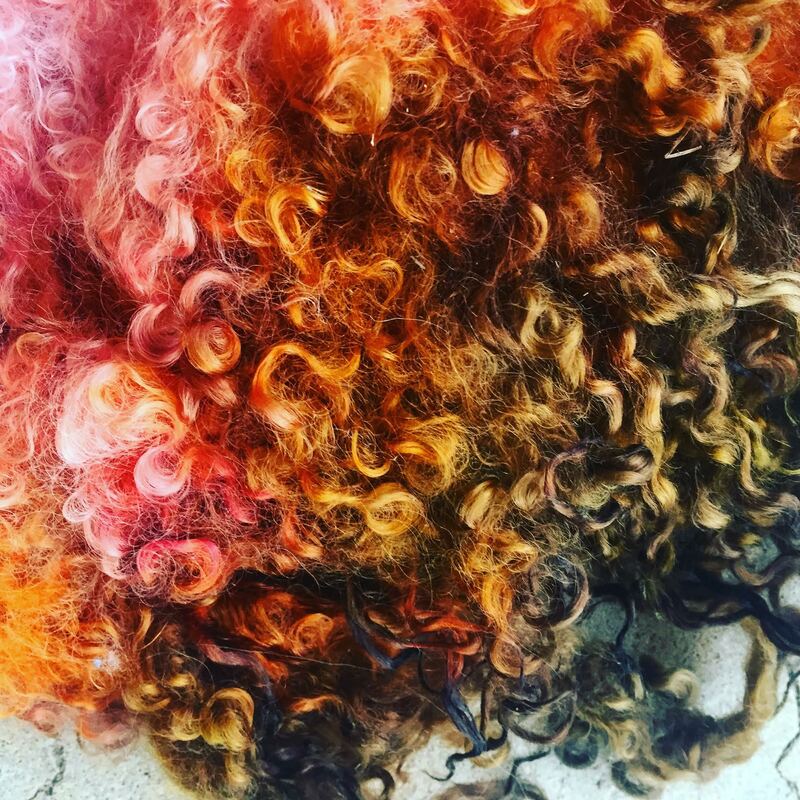 Color Me Beautiful enrollments will be open April 2019 and is only open to students who’ve enrolled in or completed Dye Secrets. For Redding Method dye courses, classes must be enrolled in consecutively or concurrently. Enrollments for the first course in the series, Dye Secrets will re-open in Spring 2019. For the syllabus, please go the Class Schedule and click on any one of the dates for detailed information on classes including times and content. In the event you’d like to be on a list and notified about upcoming classes, please use the Contact form and check what class you’re interested in. Before checking out with Paypal, please understand that all payments are non-refundable. For Policies please scroll to the bottom of this page. Have you ever had a dye pot disaster? Do you have fiber dyed in imperfect colorways hiding in your stash? When things don’t go as planned it can be frustrating and disappointing, we have all been there. No matter what the medium, one of the most valuable skills is knowing how to fix mistakes. For dyeing protein fibers, making mistakes is time consuming, costly and often results in having bins and drawers full of “mistake” fiber. Whether you’re a very experienced dyer or brand new to the dyeing scene, “If it’s Broke, Fix it” will teach to turn your trash into treasure by fixing mistakes and creating gorgeous colorways. For more information, go to: If It’s Broke, Fix It! Learn Redding Method’s take on the silk dyeing method, Shibori. Nabori uses folding, binding, wrapping and dyeing of silk fabric and silk scarves to create beautiful and functional silk art. This 3 session series will focus on the foundational principles of both Shibori and Nabori and how to create visual textures with overlapping color like you’ve never seen. The practical application of Nabori is very time consuming and will happen over 3 days with classes between 2-3 plus hour sessions. To see the class syllabus, please go to Nabori in the short course pull down menu or use the highlighted Nabori link. There is a kit for purchase which provides 3 different types of silk (a total of 6 silk scarves) as well as binding elements. If you choose to purchase the kit, please choose the appropriate pulldown menu with the kit option. As with all Redding Method classes, these are taught live and will be recorded during the class. Please use the button above to enroll. An option will be there to purchase kit and Nabori class together. Please note, payments are non-refundable. During Dye Secrets, you’ll learn crucial Redding Method tenets, science behind the dyes, different permutations of dyeing to achieve specificity, and several different techniques to achieve the “3 D’s.” By the end of the 7 week, 14 class course (7 main classes and 7 study sessions) you will have experienced a solid foundation to move forward in your dyeing journey. For those of you who would like to become Validated Master Dyers or Certified Redding Method Teachers, this is the first leg of your fulfilling journey. The foundation of Redding Method is rooted in the canvas we use i.e. raw fiber types. If you are looking for a program which specifically focuses on processed fibers such as roving, top or yarns, this program is not for you. While all fiber types are utilized (at some point) during Dye Secrets, Redding Method focuses heavily on raw protein fibers. Teaching students using a variety of raw protein fibers (from a multitude of different breeds) is the only way to truly illuminate the complexities involved in the fiber dyeing process. Visit class schedule to check out dates and times of classes. Occasionally a class will be rescheduled and you’ll be notified during class and/or emailed. In the event you’re missing emails from Redding Method, please check with Kristin Davidson to make sure your email address is correct. Note that the Youtube class links will be available for 30 days after the last class. First class begins Sunday, May 19, 2019. Please check the Class Schedule for the dates, times and class description. If you’re a previous Redding Method student and wanting a refresher, please us the menu above and choose the appropriate option. If you’d like to be on a payment plan, below is an option. Dye Secrets Tuition is 395.00 if payment is made in full (use link above please); if you choose the payment plan, there is a 35.00 fee factored into the pricing. All payments and deposits are non-refundable, please make note of that. In the event less than 10 students enroll, the main class will be recorded HOWEVER, the study sessions will be live. To Enroll, click on Yarn Dyeing! Fleeces Reveled is open to all and is an incredible class for any fiber professional. No matter how much you think you know about fiber and fleeces, you’ll learn more in this 4 series class. This is a great class which gives students solid foundation for any and all Redding Method classes. Fleeces Revealed will run two weeks prior to Fleece and Fiber Master Class and you can enroll in both and save! Please check the “short courses” page for class dates and times and when enrolling, please choose the appropriate pulldown menu for either Fleeces Revealed or for both Fleeces Revealed and Fleece and Fiber Master Class. For people who have previously taken Fleeces Revealed, you receive a significant discount for re-enrollment. Please note, both Fleeces Revealed and Fleece and Fiber Master Class are recorded for the summer session. NOTE: You’ll receive one live study session with Natalie Redding for each course and an additional week to view the classes. Both classes are available for viewing two weeks after the last class aires and then will be deleted. Add to cart button is above the Fleeces Revealed heading. Fleece and Fiber Master Class is a four part comprehensive class which teaches students the “What, When, How, and Why of Fiber and Yarn.” Students will advance their knowledge in a comprehensive manner taught with interesting anecdotes and stories relevant to history and practical application. While Fleeces Revealed gives students a solid foundation in all things wool, the Fleece and Fiber Master class continues facts about wool and picks up where Fleeces Revealed leaves off. Learn more about protein fibers like mohair, cashmere and silk and then prepare to be enriched with facts related to economically significant cellulose fibers such as cotton and linen. The Fleece and Fiber Master Class shares incredibly important strategizing techniques for choosing and blending fibers as well as qualitative and quantitative measurements for understanding fiber fineness and yarn weights. This series is one of the only classes available which is truly comprehensive on a variety of fibers. PLEASE NOTE: These sessions run recorded for Spring 2019 with a live study session. Students have an extra week to watch the videos. Videos will be available 2 weeks after the last class runs and then will be deleted. Discounts for simultaneous enrollment with Fleeces Revealed AND discounts for students who are re-enrolling in Fleeces Revealed and/or Fleece and Fiber Master Class. Payment button is below header. Only open to students who’ve completed (or soon to complete) Dye Secrets, this is the second course in Redding Method series. Color Me Beautiful focuses on advanced techniques for creating depth, dimension and delineation of colors. You also learn how to grab inspiration and then carefully map out approaches to difficult combinations with precision and repeatability. Learn some of Natalie Redding’s most coveted methods during this 7 week class. For a complete description of this course, please visit the Color Me Beautiful page. Class schedule is available on the “Events” page. Please check link for full class dates and times. For payment in full, please use the link above. If you need a payment plan*, please use the link below. Class begins on May 19th, 2019. PLEASE NOTE: For the class to be taught live, 10 students must enroll. In the event this doesn’t happen, class will be the recorded version with live study sessions. This is a four part short course where you’ll learn the basics of reactive Procion dyes and you’ll walk away some finished objects too! Procion dyes are mainly used to dye cellulose fibers and using them is a must for any fiber artist. Expand your fiber arts repertoire and learn in a fun and entertaining way. Tuition for this class is 255.00 (plus 6.00 shipping) and includes large cotton tote, extra large silk fabric square and cotton scrim. For more information about the course, please go here! Colorways is the final series in the Master Dyer Certification program (must complete with a 75% or above on final exam) and is only open to students who’ve completed the first two courses in the series. Further, to become a certified Redding Method instructor, invitation (merit based on Final score) is necessary to enter Teacher Training. Colorways is a rigorous series which includes all the significant revenue generating advanced colorways of Namaste Farms. Learn not only the color combinations but the challenging techniques necessary to accomplish them. Past Colorways students report that, while they are welcome to use these proprietary color ways, understanding them increases their own advancement and creativity. The new session of Colorways begins November 18th, 2018. Click Class Schedule for class dates and times. To enroll, please use the Paypal button above. In the event, you’re a returning student and want a refresher, please use the pulldown menu below. Learn everything you need to know about silk including dyeing different forms AND spinning methods. During this 5 class series (each class is 1-1.5 hours) you’ll learn facts about silk not widely available. The class syllabus includes information on economically significant types of silkworms (Mulberry, Tasar, Endi, Muga et al…), the different forms silk comes in (lap, brick, caps, mawata, filature and more), what these different iterations are best used for as well as degumming methods and actually degumming your own cocoons. In addition, you’ll learn Redding Method techniques for dyeing your degummed cocoons, dyeing silk brick, and methods for dyeing silk sliver and Mawata. During the final class, join Jan Massie and me for an interactive “spin in” where you’ll be taught the different spinning methods for the forms of silk we’ve worked with and tips on spinning other forms. Enroll in Silk Revealed and be one of the first to know THE REAL DEAL about silk in a format which teaches you silk in a comprehensive manner. By the end of this course, you’ll boast both practical and theoretical knowledge that will save you money and put you ahead of the competition in your fiber arts business. Class session begins October 18th. Please check schedule for class dates and times. All Redding Method courses are run “live” and interactive via chat through Youtube live. During the live feed, you can ask questions in real time via chat, once the initial class is over, it will be available for viewing one week after the live class so you can catch up if you missed it. This also gives you ample time to watch it over and over just in case you missed something. As with all payments, they are non-refundable. Open to graduates of Redding Method Master Dyer Certification who’ve passed final with a score of 85% or above. This is a class designed to give curriculum for Redding Method teachers. Students will have significant input to developing this course. 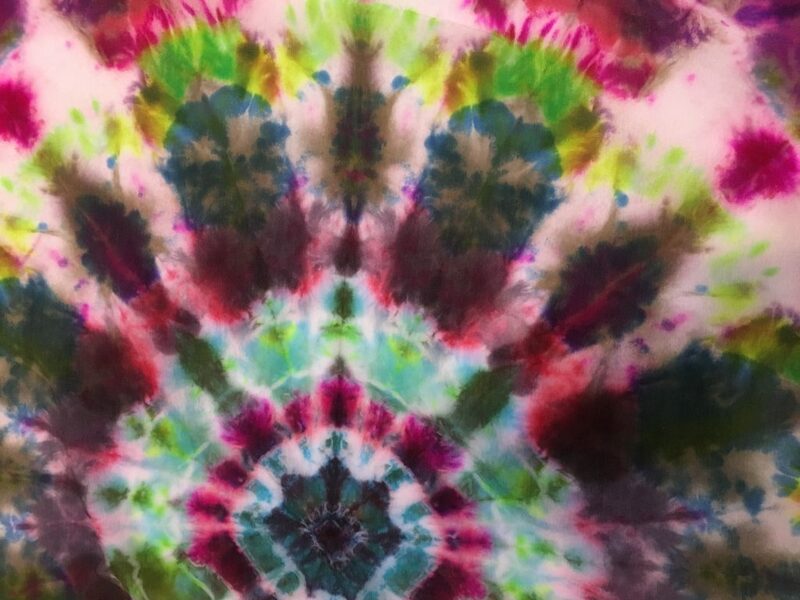 Once teachers have completed Teacher training, they will be added to Redding Method website and encouraged to teach Redding Methods of Dyeing protein fibers around the globe! To be certified as a Redding Method teacher there will be a minimal yearly ongoing education program. Payments are non-refundable. All classes run live therefore class times can vary and often will run over (rarely under). Also, because of the live format, technical difficulties can arise and we (infrequently) must reschedule class times. It is very important for us to have happy students, therefore, If you’re a person who has strict time standards, the live format may not be a good fit for you. Please read class descriptions carefully. The classes offered as of 2016 are, generally speaking, geared towards polyamide i.e. protein fibers. Almost all of the time is spent learning how to dye raw fibers with a great deal of attention paid to the variation in structure that make different fibers react to dye so differently. The characteristics that make your “canvas” behave in a multitude of ways cannot be understated. These differences are not only between breeds and species, but even within a breed or an individual animal during it’s lifetime. Dyeing processed fibers such as roving and top are reductive and simple and most information can be found easily on the internet. Because of this, very little time is spent on processed fiber. Please understand the class you’re enrolling in to prevent unnecessary issues. Awesome class - learned many new tricks, especially loved the speckle dyeing. You will love this class and any other class from Natalie Redding!! Natalie's yarn dying class is one you don't want to miss!! She is so knowledgeable and does an awesome job of presenting the class in an easy to understand format. I love her hands on approach alongside her scientific findings. This class is truly an investment you don't want to miss. Natalie puts her heart, soul, and love for knowledge into each class she teaches. She cares about the learning experiences she offers and always exceeds expectations. Which is why I keep taking classes. Great learning experiences, and FUN. The first day is packed with so much fiber information. I wrote pages of notes. So enlightening. As usual Natalie has blazed new trails with her techniques, thoroughly researched, and packaged up the techniques so you, the student, can get to the heart of the “how to” quickly. Highly recommend. Natalie Redding is such a phenomenal teacher. She spends many hours researching and troubleshooting her classes. Then she is able to present the massive amounts of information on such a manner that makes it easy for us to understand. The yarn dyeing class is no exception. Natalies classes get better and better.